I have developed an annual tradition over the last several years that takes place the last week in October. I like to call it the "Pre-NaNoWriMo Freak Out." It's the last few days before National Novel Writing Month begins, when I convince myself that this is the year I absolutely cannot take part in it due to the craziness of my life, and then proceed to sign up for it anyway. Why? Because I need it. And I love it. I love NaNoWriMo. I love the fact that it gets me writing every single day for a whole month--something I struggle to duplicate outside of NaNo events. I love the community around NaNoWriMo--the Twitter hashtags, the forum groups, and the endless stream of support that all NaNo participants give one another throughout the month. It makes me proud to be a writer. Most importantly though, NaNoWriMo reminds me that I have to make time for my writing. There is no perfect time to write. I have a wife, two kids, a full-time job and I'll be coaching basketball as of next week. 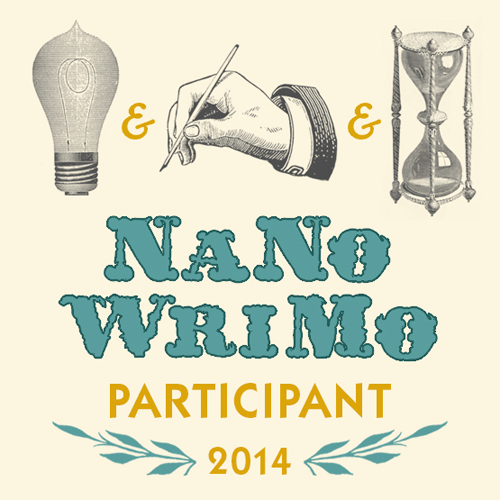 Participating in NaNoWriMo forces me to make time to write, even during the busiest time of the year. And that's why I need it. 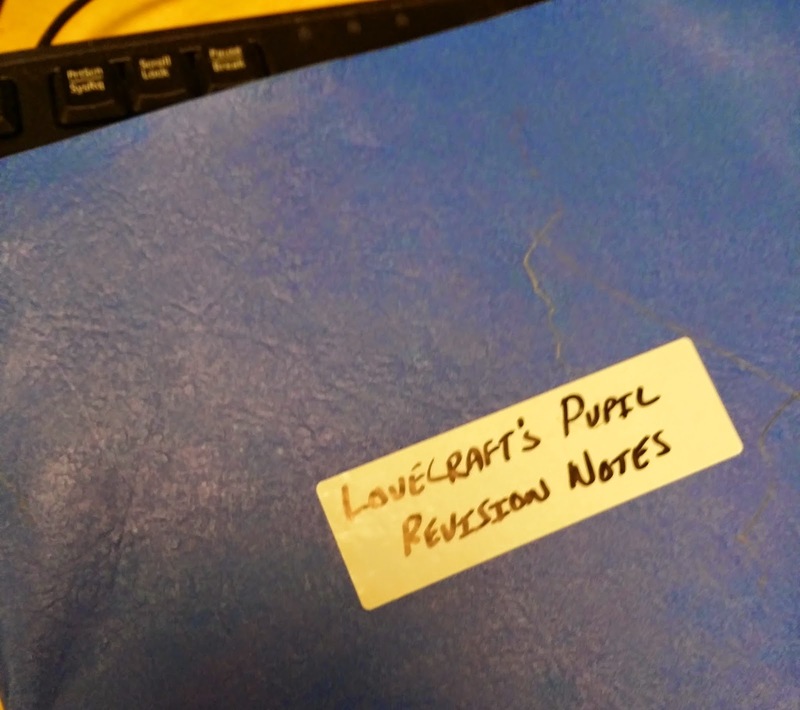 Where I could have planned better this year was around edits and revisions for my next book, Lovecraft's Pupil. 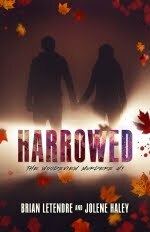 I'm finishing up edits now and designing the cover with my pal Jeff Rodgers (who did the covers for the previous two books in the Parted Veil series). That book should be releasing in late November or early December. Had I finished edits in September like I had planned, the book would be out by now, and I could focus my writing time squarely on NaNoWriMo. But on the plus side--I have a new book coming out soon! 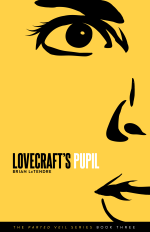 And the nice thing about spending October with Lovecraft's Pupil is that it has put me back in the heads of those characters I adore so much, especially Fela and Connie. I love where their story is going next, and I cannot wait to write it. So, while this time of year gets very stressful for me, it's also a time where I feel very connected to my writing, and to all of my writer friends. So bring it on, November. 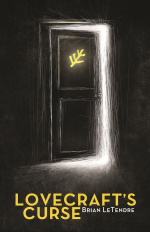 Digital Versions of COURTING THE KING IN YELLOW and LOVECRAFT'S CURSE 33% Off at Drive Thru! Drive Thru Fiction is having their annual Halloween sale now through the 31st, and you can 33% off of almost two hundred digital books and gaming products--including mine! 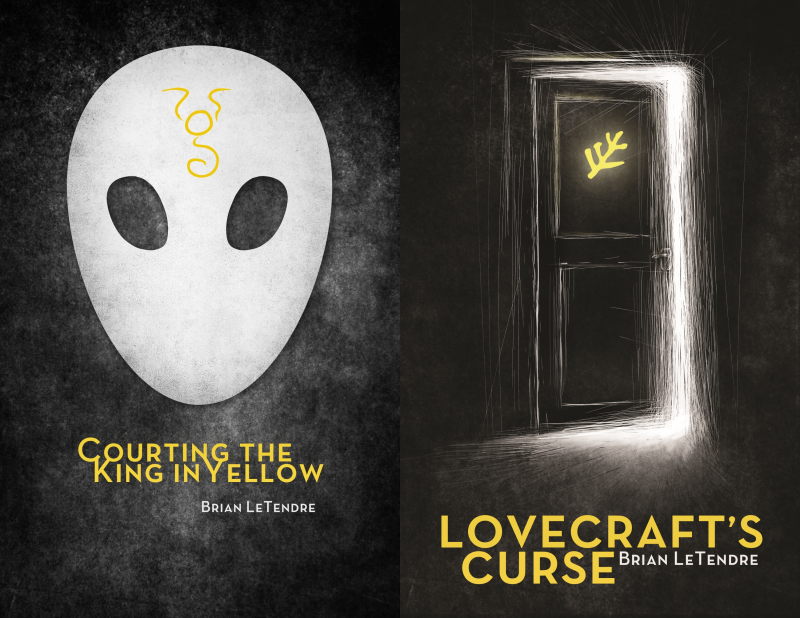 That's right friends, the digital versions of both Courting the King in Yellow and Lovecraft's Curse can be yours for under $4 total! That's like 'impulse buy' territory right there. And it's not a bad time to pick the first two books in the Parted Veil series up, because I'm heading down the home stretch of edits on book three--Lovecraft's Pupil. It should be out by the end of November, which gives you plenty of time to catch up before it hits. So, go get yourself some horror on the cheap, and have a happy Halloween! Read My New Short Story LOVE'S GROVE Over at the Pen & Muse Haunt! I am super excited to announce that my new short story "Love's Grove" is debuting today over on the Pen & Muse blog!!! I am so psyched to be releasing this story just in time for my favorite holiday. "Love's Grove" is a creepy tale of a place where true love is held in high regard, and anything less can be deadly. You can click here to read "Love's Grove" right now!!! I would like to give a huge thank you to Jolene Haley and the entire crew over at Pen & Muse for letting me be a part of this year's event. I've been immersed in edits for Lovecraft's Pupil and I was afraid I wouldn't have anything to share with people for Halloween. I had so much fun with last year's Dark Carnival event that I jumped at the chance to participate this year, and it provided the perfect break from edits. 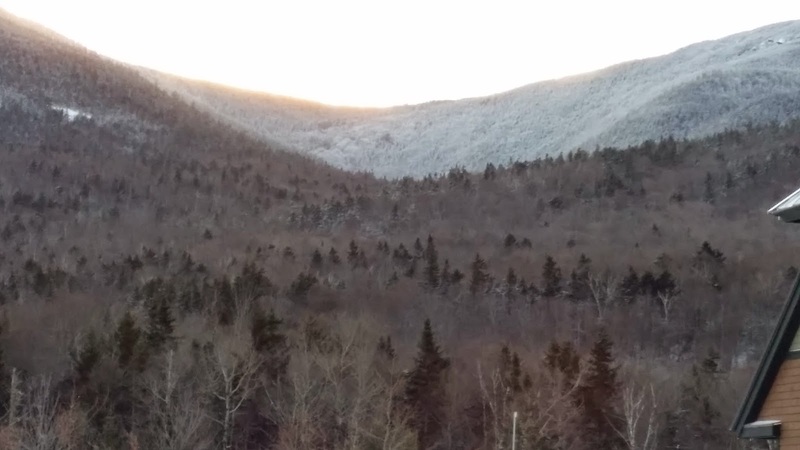 I hope you enjoy "Love's Grove," and feel free to post comments there or here to let me know what you think of the story. You can also post on Twitter under the hashtag #PMHaunt. And please, please check out all of the other fantastic stories and illustrations from the rest of this year's participants. It's a whole month's worth of free horror, which is pretty much the best Halloween treat ever. 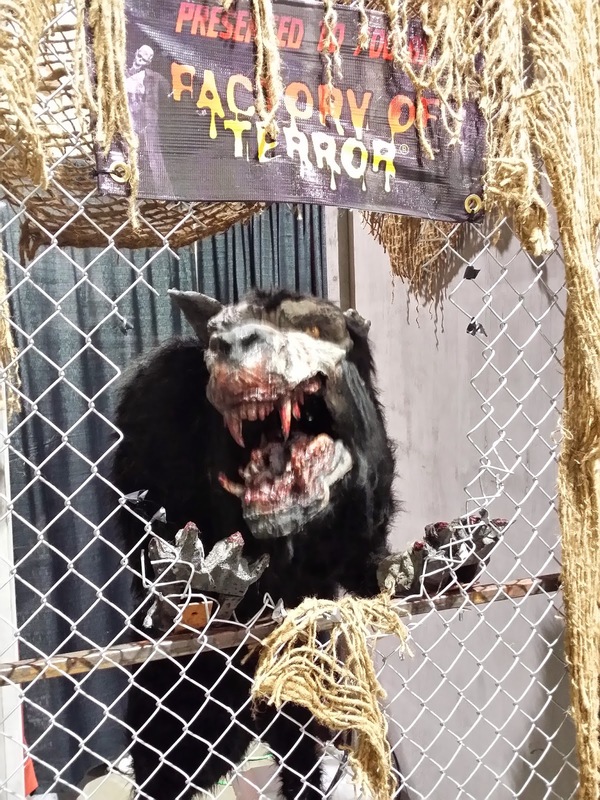 Few things go together as well as heavy metal and horror, and this past weekend I got to experience the best of both at the Rock & Shock festival in Worcester Mass. Part horror convention, part music festival, Rock & Shock is a carnival of sights and sounds that you won't find anywhere else. My podcast partner Matt Herring and I covered the show for the Secret Identity podcast. We also set up shop with our friends from Reckless Sidekick Productions and sold some books as well. The show takes place both at the DCU Center and Worcester Palladium, and we bounced between both throughout the show. One of the highlights for me was seeing our pal George O'Connor and his band Swarm of Eyes play live. I've known George for years now, and this was the first time I got a chance to catch him play. Swarm of Eyes played an amazing set filled with songs from their debut album "Designing the Dystopia," including this little gem, "Ruins of My Last Salvation." The crowd ate up everything the band threw at them, including a cover of the Misfits' "Skulls" that lead singer Randy Carter invited members of the crowd to sing along with. It was a great set, and I'm so happy I finally got to check those guys out. 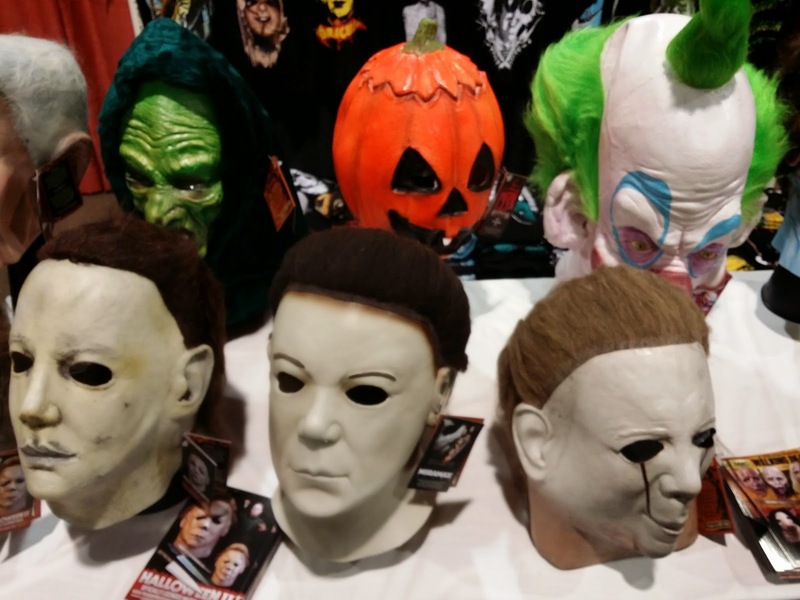 Inside the show I saw everything from horror-themed coffee to live alligators, as well as a slew of celebrities including Jeffrey Combs (Re-Animator, The Frighteners), Brad Dourif (Child's Play, Exorcist III) and Andrew Divoff (Wishmaster, The Strain). My absolute favorite part of the experience though was hanging out with fellow horror and metal fans all day and talking about the things we love. You will not find a cooler and nicer group of people in the world, and it's so great when we can all get together and celebrate the things we love. 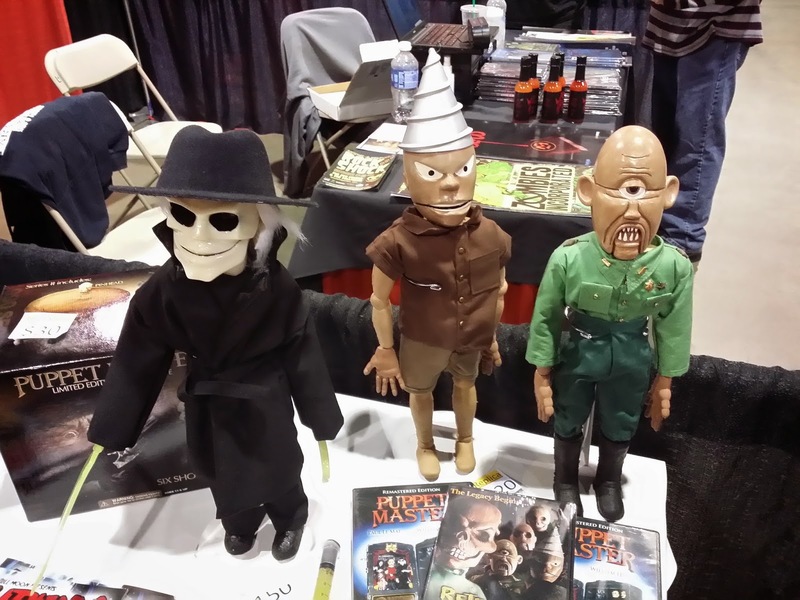 So, if you missed Rock & Shock this year, you need to plan to be there next year. We'll be there for sure, and I'm already counting down the days. Thanks to the staff and everyone behind the show for letting us be a part of the fun! Come See Me at Rock & Shock in Worcester, MA This Weekend! 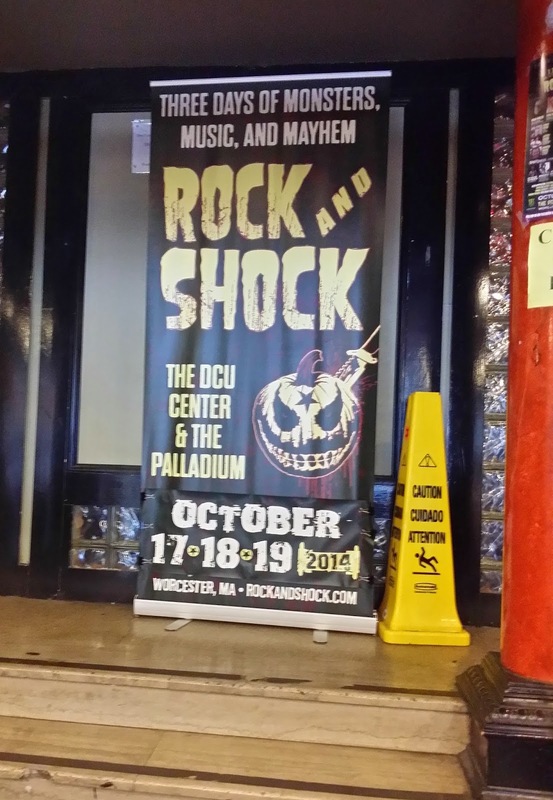 The annual convergence of horror and heavy metal that is Rock & Shock is happening this weekend in Worcester, MA! 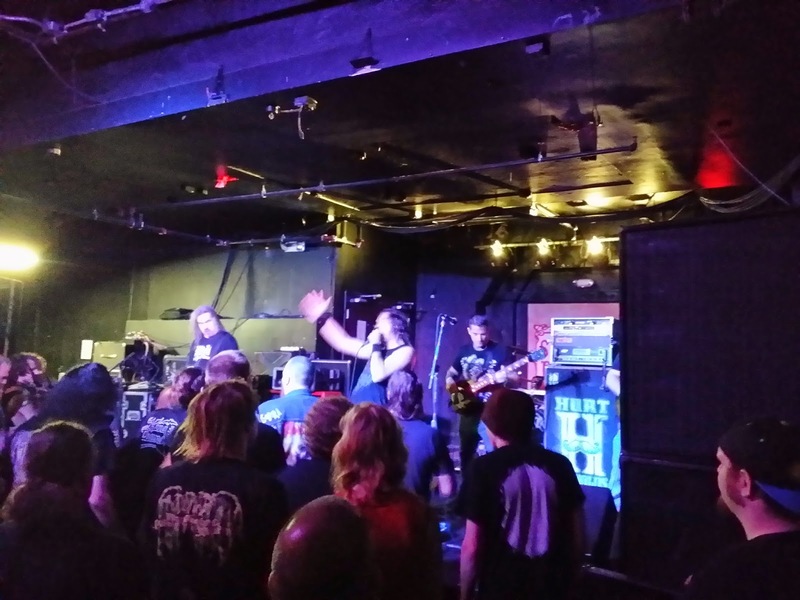 Rock & Shock is a four-day heavy metal music festival and horror convention that spans two venues--The DCU Center and the Worcester Palladium. 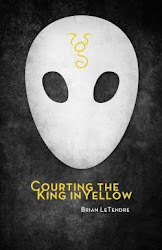 My show partner Matt and I will be covering the show for the Secret Identity podcast (you can actually read his review of last night's King Diamond show right here), and I will be selling copies of both Lovecraft's Curse and Courting the King in Yellow at the show. The books will be $10 each, and I will be offering a bundle of the two books as well as the Uguborth art print for $25. All day Saturday I will be with my pals from Reckless Sidekick Productions in the Vendor Area of the DCU Center. I may be coming back for Sunday as well. 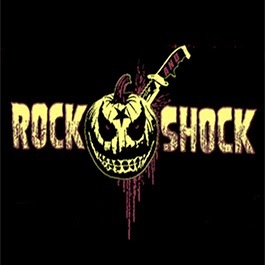 So, if you're in the Massachusetts area, and you're a fan of horror and heavy metal, head to Rock & Shock this weekend. Hope to see you there! After a few false starts, I am finally immersed in edits for the third book in the Parted Veil series, Lovecraft’s Pupil. My approach to edits has changed a bit with each book, and my enjoyment of the process itself has increased as well. In the past, I’ve done first edits using a combination of Google Docs, Srivener, and occasionally, the Kindle’s note-making feature. I sort of plowed through first edits, making notes and rewrites at the same time. 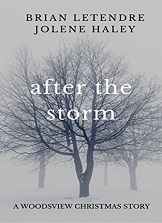 While it was nice to be “done” with each chapter as I went along, there wasn’t a great flow to my editing process, and I didn’t really enjoy it. This time around, I’ve simplified the process, printing out the individual chapters of the book and making written edit notes, then going back to Google Docs to make changes and rewrite where necessary. Since the early morning hours are my most creative and productive writing time, I make my edit notes during the evening, so in the mornings I can jump right into writing. This is working really well for me. At night I’m reading and making notes, and I go to bed thinking about the story. In the morning I wake up and can’t wait to write. I am really enjoying spending time with these characters again, and I think a lot of that has to do with the fact this is the second book with the same set of primary characters. There’s so much heavy lifting to do in a first installment in terms of character and world-building. In the case of the Parted Veil series, I’ve been building the same world for two books, with two largely different casts of characters. 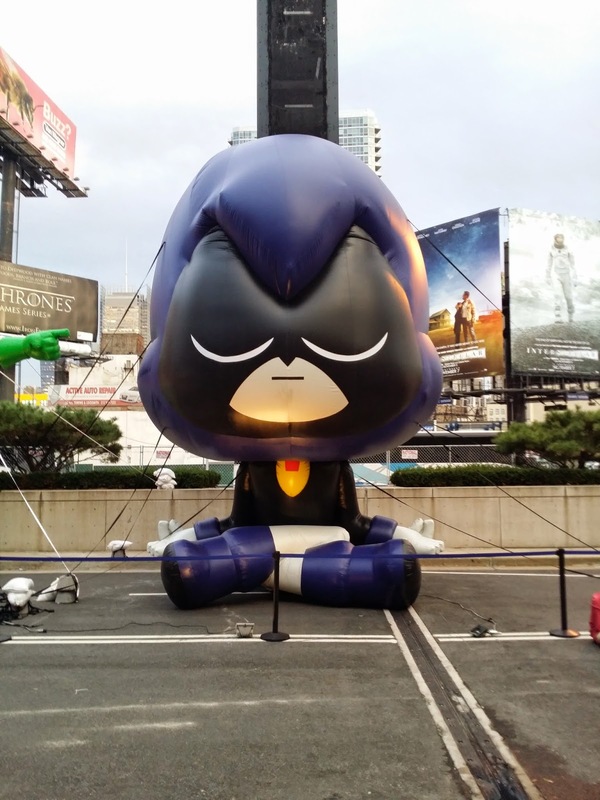 As the series moves forward, the connection between the two stories will become more apparent, and the casts will start to come together as well. 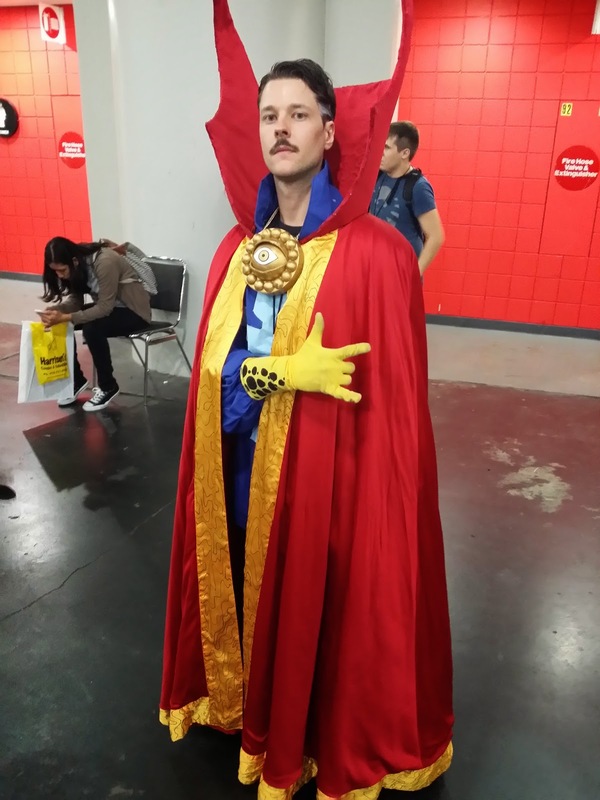 Check Out Secret Identity for My Coverage of New York Comic Con 2014! Matt and I will also be recording new episodes of the Secret Identity podcast later this week, so you'll be able to hear all about our time at the show when we post those episodes next week. I will also be posting about my experience selling books at the show later this week. Stay tuned! 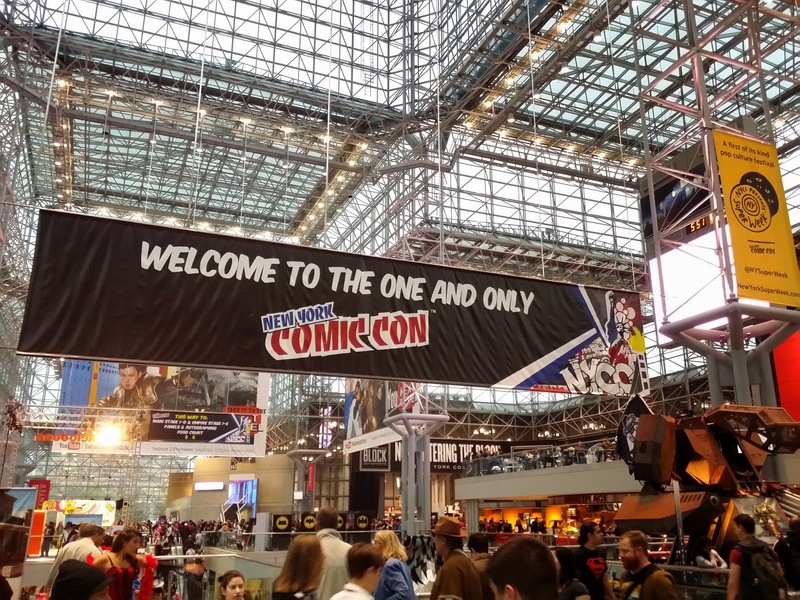 Check Out Secret Identity and Follow Me on Twitter for NYCC Updates! You can also listen to the Secret Identity Podcast as well as the next episode of the See Brian Write podcast, where I'll be recapping all of the fun I've been having! I’m heading to New York tomorrow, for my annual pilgrimage to New York Comic Con. For most of the weekend, I’ll be running around the show floor, conducting interviews for the Secret Identity podcast (and maybe even See Brian Write as well). BUT, I’m also going to be selling books and prints at the show as well! My good friend Vin Ferrante of Monarch Comics has been gracious enough to give me some space in his booth (#2018) to set up shop for the weekend. Vin is the creator of Witch Hunter, a great comic series that captures the feel of Universal monster movies, Saturday morning cartoons, and the golden era of horror comics. 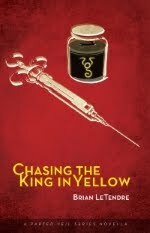 I’m bringing a limited number of copies of both Courting the King in Yellow and Lovecraft’s Curse with me to the show. 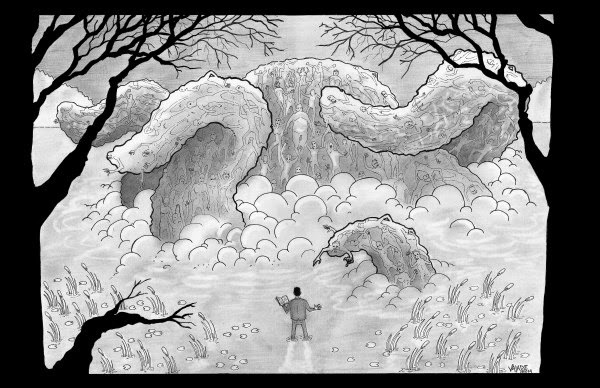 I’ve also got a handful of prints left of the amazing Uguborth scene from Lovecraft’s Curse that artist Mike Valade created for me. I’ll be selling the books and the print for $10 each, or you can get both books and the print for $25. So if you’re at NYCC this week, stop by booth #2018 and say hi! The Dark Carnival is creeping closer, and what better way to start the week than with a couple of teases for this terror-filled anthology? 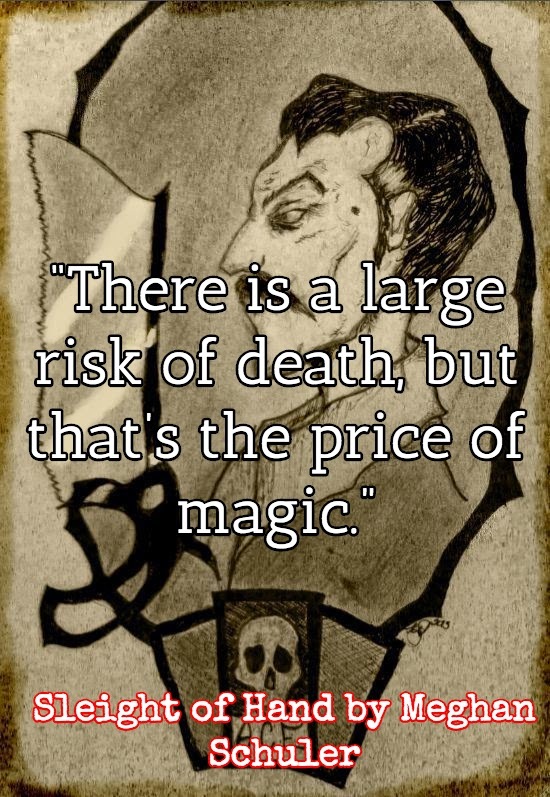 There are many attractions at the Dark Carnival, each of them guaranteed to be worth the price of admission. Perhaps you'd like to start off your visit to the carnival with a show? In Megan Schuler's "Sleight of Hand," magician Percival Creepe and his assistant Vera give an audience full of skeptics a performance they won't soon forget. And what couple's trip to the carnival would be complete without a visit to the Tunnel of Love? 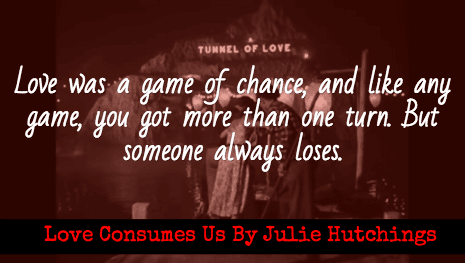 We all know love can make us do crazy things, and in Julie Hutchings' "Love Consumes Us," one couple's love becomes an insatiable hunger. Blurb: In this anthology, several authors and illustrators explore the dark and hidden dangers that lie within a carnival that has come to town. But it is no ordinary carnival. It's The Dark Carnival. And when The Dark Carnival comes to town, there's no promise that anyone can leave...alive. It's Time to Get Haunted! Today is an exciting day, horror fans. 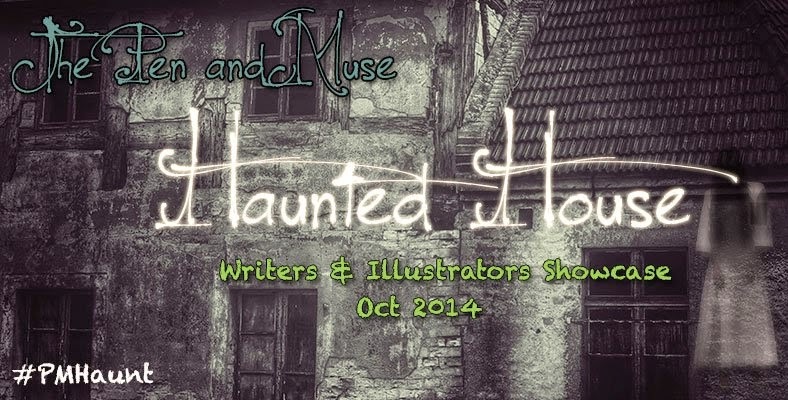 The Pen and Muse Haunted House Writer and Illustrator Showcase begins today, and will feature a month's worth of horror stories and artwork based around a hunted house theme. Every week in October, stories and artwork will be rolling out, and it all starts today! Kicking things off in style is a creepy tale from Kathy Palm called Weakness. You can read the story by clicking here, and you can head to the main page of the event to see the rest of the schedule. You can also follow the event on Twitter by checking out the Pen & Muse account or following the #PMHaunt hashtag. The story I wrote for the event will be arriving on October 24th. It's called Love's Grove, and it's a tale of a place where true love is held in high regard, and anything less can be deadly. So rejoice horror fans, because you have an entire month of thrills, chills and terror coming at you. Good luck sleeping, and remember--that creaking noise is just the house settling, not some sinister, shadowy evil slowly making its way to your bedroom. 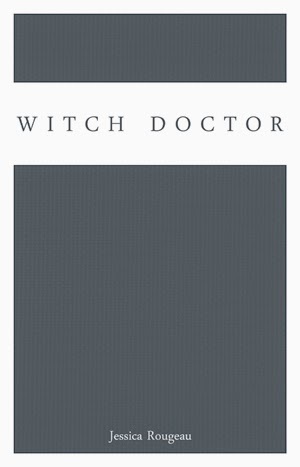 In the twenty-second episode of See Brian Write, writer Jessica Rougeau joins me to talk about her new book of poetry Witch Doctor, and the near-death experience that inspired it. 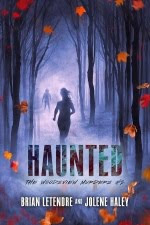 My book recommendation for this episode is Julie Hutchings's newest release, Running Away.